Among the many skills needed by today’s financial professionals is that of strong leadership. While there have been a number of studies that have focused on identifying which leadership skills are important to career success in general, none have focused on identifying which specific leadership skills are most important for each respective stage of an individual’s career. We set out to answer that question for three specific stages of a financial professional’s career: supervisory staff, manager level, and senior leadership. The traits and skills that we examine are those that prior research has found to be important to overall success as a financial professional. A total of 271 professionals representing various career tracks and career levels participated in the study. Their responses were recorded using a seven-point Likert scale, which captured their perceptions of the relative importance of 21 specific leadership characteristics for each of the three career styles. These traits were previously identified by Jamie Early and John B. Davenport in their article, “Desired Qualities of Leaders Within Today’s Accounting Firm” (The CPA Journal, March 2010). The results offer useful insight into how the importance of these specific leadership skills evolves as someone advances through the various stages of his or her career. We believe that these results can be used by accounting and financial professionals to hone the skills and attributes found to be most important for success at their current career level as well as for the career level to which they aspire. Many articles have been published that identify essential leadership skills. 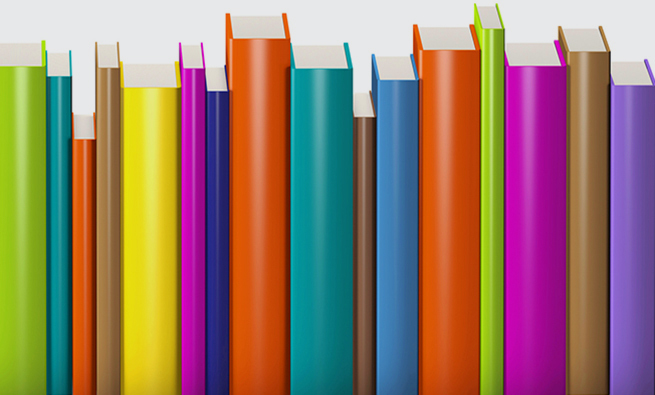 These articles constitute an informative and meaningful component of the leadership literature, particularly for those who aspire to leadership roles within the business world (see “Additional Resources” below). They serve as a useful foundation from which to explore the specific leadership skills that are essential to success within the accounting profession. Susan P. Edwards offered a “lead by example” philosophy in which individuals make use of their unique experiences and environment in developing a leadership style that’s clearly apparent to the teams that they lead, while Laurie Chamberlin stated that true leaders “look for opportunities to hone their own skills and take charge of their own lives rather than waiting.” Thus, organizations should identify and support individuals who demonstrate a genuine desire to lead. Ron Fory argued that, in order for people to be truly effective leaders, they must first be effective teachers (in such areas as the formal training of new employees, the “hands-on” training that involves new procedures and policies, and the “spur of the moment” teaching opportunities that arise when mistakes are made). Finally, David J. Elrod stated that an effective leader must be a trusted leader. Accordingly, Elrod identifies what he regards as the “five components to the trusted leader role”: attitude, technical excellence, experience, partnership (i.e., the active engagement of business partners), and leadership (i.e., gaining the trust of business partners and leading with the solution). 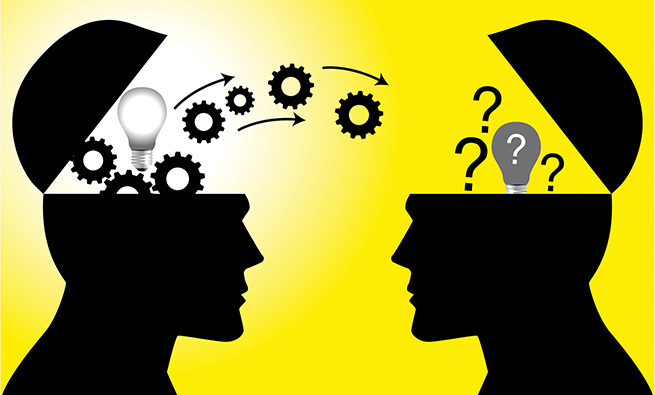 We find the 21 traits and skills identified by Early and Davenport to be most reliable and relevant given that they are based on the well-cited transformational and transactional leadership research introduced by Bernard M. Bass in the 1980s and servant leadership introduced by Robert K. Greenleaf in the 1970s. In addition, these elements have been used in prior studies in the specialized context of leadership in accounting by David McThomas. 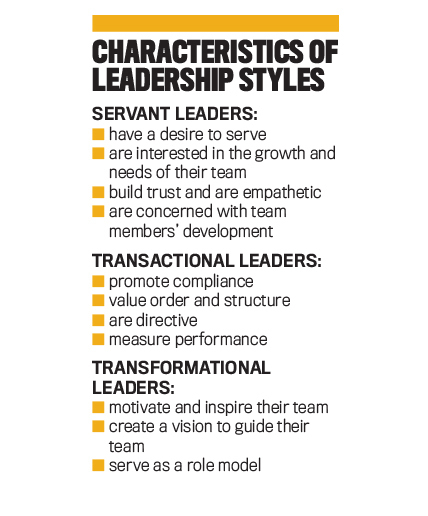 Using the study by Early and Davenport, we grouped the leadership attributes into three leadership styles: servant leadership, transactional leadership, and transformational leadership (see “Characteristics of Leadership Styles”). A servant leader will tend to focus on (or “serve”) the needs of team members, giving them the necessary support to achieve their goals, involving them in decisions, and building a sense of community (bit.ly/2Ydpopl). This leadership style is associated with higher engagement, trust building, and the development of stronger relationships. The specific leadership attributes that were grouped with this leadership style are building trust, being an excellent listener, having a keen sense of situational awareness, being empathetic, having an attitude of service to others, building a sense of community, and being concerned with the growth of followers. Leaders with a transactional leadership style will reward or discipline their team according to its performance. This type of leader will frequently use a contingent reward system and manage by exception when corrective action is taken in response to failures or errors. Early and Davenport note that the tasks and end goals of the organization are more important to these leaders than the development or loyalty of their team. Transformational leaders generate an awareness of the mission of the organization, motivate followers to look beyond their own interests to focus on behavior that benefits the group and the organization, create a shared vision, and encourage new ways of looking at problems. The attributes that Early and Davenport grouped with this leadership style are infectious enthusiasm, being value-driven, being able to anticipate the consequences of decisions, demonstrating faith in subordinates’ abilities, providing intellectual stimulation, being an agent of change, and creating a vision for others. Table 1 provides the mean Likert scores showing the importance of the 21 leadership skills at each of the three career levels, as well as the means for the various types of leadership skills for each career level. Our results reveal that the overall importance of excellent leadership skills increases as people progress through their careers. This increased importance is evidenced by the increase in the overall means and number of leadership skills that receive a score of 6 or greater. 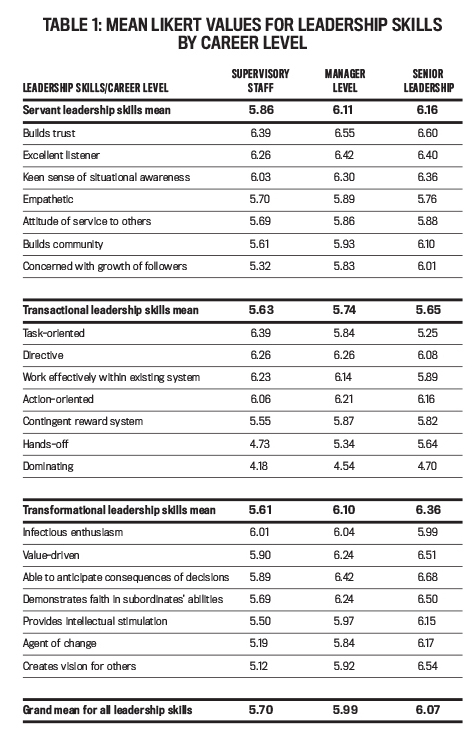 The overall mean for all leadership skills increases from 5.7 for supervisors to 5.99 for managers to 6.07 for senior leadership. Similarly, the number of leadership skills that received a score of 6 or more increases. There were eight such skills for supervisors, 10 for managers, and 13 for senior leadership. These results underscore the need for financial professionals to focus on the development of all leadership skills as they progress through their careers. Certain skills are important throughout everyone’s career. The three skills that stand out in this manner are all servant leadership skills: building trust, being an excellent listener, and having a keen situational awareness. All three of these skills achieve a mean score of 6 or greater for all career levels and therefore are attributes that should be honed throughout a career. In addition to those skills needed at all career levels, there’s an evolution in the types of leadership skills that are needed most as someone progresses through career levels. For supervisory staff, only one transformational skill—infectious enthusiasm—received a mean score of 6 or greater. At the manager level, transformational leadership skills increase in importance. There’s an increase in both the overall mean for such skills as well as the number of transformational skills that achieve a score of 6 or more. The overall mean for all transformational skills increases from 5.61 for supervisors to 6.1 for managers. The total number of transformational skills exceeding a mean score of 6 increases from only one for supervisors to four for managers. This increased importance of transformational skills continues into senior leadership. The number of transformational skills deemed critical increases from four at the manager level to six at the senior leadership level. This increase in the importance of transformational skills can also be evidenced by the overall means for transformational skills, which increases from 5.61 for supervisors to 6.1 for managers and to 6.36 for senior leadership. Knowing the requisite leadership skill sets needed at each stage of a career provides financial professionals with a means of not only assessing their current leadership adequacy but identifying the specific skills they need to foster as they set their sights on career advancement. 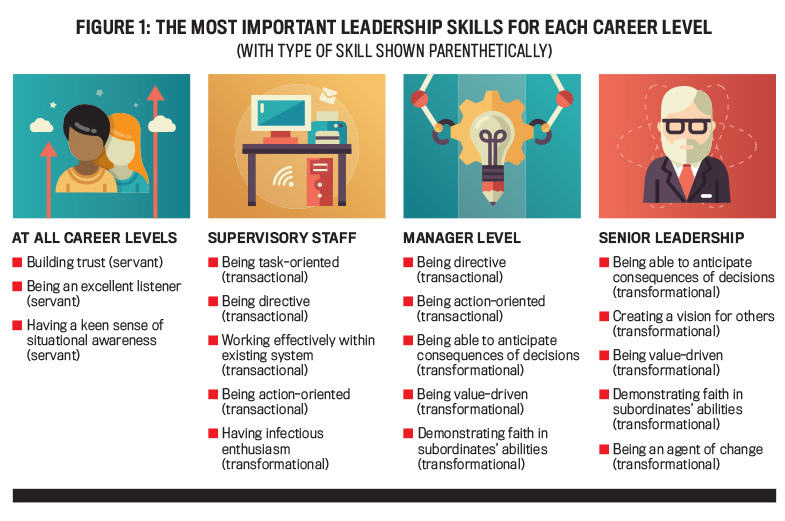 Figure 1 provides a summary of the most important leadership skills necessary at each career level and underscores the progression from transactional to transformational skills that occurs as people advance through their career. 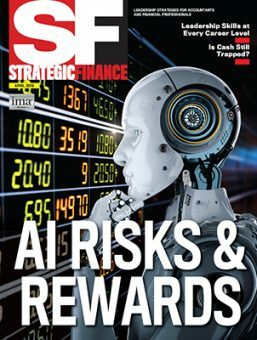 Listening, building trust, and situational awareness are needed at every stage of a career, so all financial professionals, even those in the earliest phase of their career, should strive for the attainment and continuous improvement of these three skills. All three are classified as servant leadership skills that “focus primarily on the growth and well-being of people and the communities to which they belong” (see greenleaf.org). Interestingly, no other servant leadership skills are ranked within the top 10 needed skills for any of the three ranks. Examples of these traits would include the need for an audit supervisor to exhibit effective listening skills when an inexperienced staff auditor has specific questions about which audit procedures should be performed for a new client and how such procedures should be documented. This will enable the audit supervisor to provide appropriate technical advice and developmental training to the staff auditor in view of his or her current level of understanding. Additionally, a CFO should ensure financial guidance and targets provided to both internal (e.g., the CEO and functional vice presidents) and external (e.g., lenders and analysts) stakeholders are reasonable and based on reliable assumptions. Such transparency builds trust among key stakeholders. Finally, a controller needs to display situational awareness when creating a balanced scorecard to measure and manage key performance indicators. In this situation, the controller needs to clearly understand the strategy of the organization to ensure all key elements receive appropriate focus and resources. Financial professionals also must maintain an awareness of the additional leadership skills that will be necessary going forward. Our study identified five additional leadership skills that are critical at each of the three respective career levels. 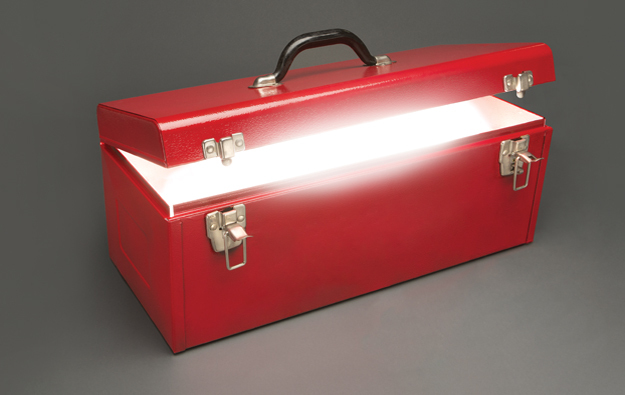 It’s important to maintain an ongoing awareness of those individual skill sets as a component of the career development tool kit. Being task-oriented, being directive, working effectively within an existing system, being action-oriented, and having infectious enthusiasm are critical skills needed by supervisory staff. For example, a supervisory staff individual who aspires to the manager level, such as a supervisory accountant, should lead by example in demonstrating value-driven principles, such as in carefully following company travel policy and in being conservative in the use of company travel funds. In addition, a senior accountant should be willing to work harder at times when the company’s financial reporting needs demand it. Such action-oriented behavior places the senior accountant in a better position to expect such efforts from subordinates. For those at the manager level, the skills needed are being directive, being action-oriented, being able to anticipate consequences of decisions, being value-driven, and demonstrating faith in subordinates’ abilities. The manager who seeks a senior leadership position, such as a financial manager, should take time to anticipate the consequences of decisions and be prepared to present both a quantitative and qualitative assessment of each viable alternative to senior leadership. For example, in the case of a make vs. buy decision, both alternatives should be presented with such an assessment. Such decisions will likely require time and the consultation of others. The critical skills needed at the senior leadership level are being able to anticipate consequences of decisions, creating a vision for others, being value-driven, demonstrating faith in subordinates’ abilities, and being an agent of change. A CFO may demonstrate faith in subordinates’ abilities in considering whether it may be appropriate to delegate increased financial reporting responsibilities to a high-potential subordinate after considering the employee’s qualifications and experience. While technical skills will always serve as the foundation for early and mid-career success in accounting and finance, those who reach the C-suite also need to master leadership skills. 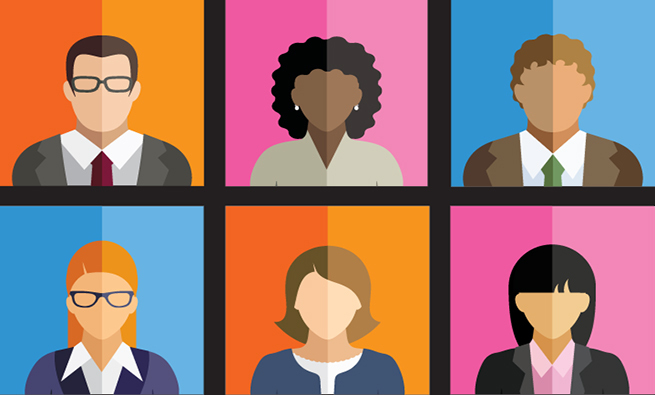 In the profession, there are abundant opportunities to advance technical skills, but it’s important for those who want to advance to the highest levels of an organization to take the initiative to ensure they equally develop leadership skills. We encourage using the findings from this article to engage in self-assessment to form a leadership development plan. 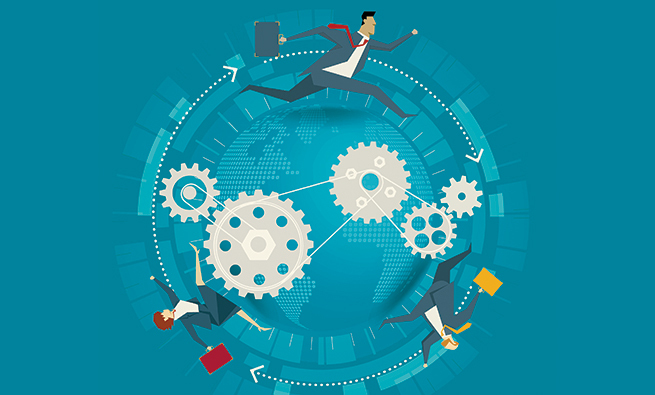 When forming such a plan, it’s best to engage in activities that provide the opportunity to work concurrently on several of the key leadership skills in “low-risk” environments. For example, identifying and seeking the advice from trusted and experienced mentors provides such an opportunity. Mentors aren’t typically going to find you; rather, you need to be action-oriented and respectfully work effectively within an existing system to seek out such individuals. It’s up to you to do the research and network with these individuals to create an initial rapport. In order to establish and grow such relationships, you will need to develop the leadership skills of listening, trust building, and empathy. Additionally, you may ask these mentors to share their insights and experiences related to any of the identified leadership skills. Other opportunities to develop these skills include: (1) closely observing admired leaders within your organization and the broader profession and emulating how they build community, create vision for others, and demonstrate faith in subordinates’ abilities; (2) volunteering to take on new assignments that appropriately challenge your current leadership experiences to demonstrate that you are value-driven; and (3) demonstrating infectious enthusiasm through lifelong learning by reading and engaging in conferences, forums, and podcasts to ensure you understand the latest developments in the profession that enable you to be intellectually stimulating and an agent of change. Laurie Chamberlin, “Cultivating Leadership at Every Level of Your Organization,” Strategic Finance, December 2010, pp. 17-18, 61, bit.ly/2Fgv3lW. Jamie Early and John B. Davenport, “Desired Qualities of Leaders Within Today’s Accounting Firm,” The CPA Journal, March 2010, pp. 59-62. Susan P. Edwards, “Leading with Style,” Strategic Finance, July 2015, pp. 19-21, bit.ly/2Y7AAUt. David J. Elrod, “Becoming a Trusted Leader,” Strategic Finance, April 2012, pp. 25-27, bit.ly/2ugME80. Brian W. Carpenter, CMA, Ph.D., is the PwC Professor of Accounting in the Kania School of Management at the University of Scranton in Scranton, Pa., and a member of IMA’s Pennsylvania Northeast Chapter. Brian can be reached at brian.carpenter@scranton.edu. Douglas M. Boyle, CMA, CPA, DBA, is an associate professor, department chair in accounting, and director of the Doctorate of Business Administration program at the University of Scranton. He is a member of IMA’s Pennsylvania Northeast Chapter. Doug can be reached at (570) 941-5436 or douglas.boyle@scranton.edu. James F. Boyle, CPA, DBA, is an associate professor of accounting, the director of the Master of Accountancy Program, and the faculty advisor for accounting internships at the University of Scranton. He also is a member of IMA’s Pennsylvania Northeast Chapter. James can be contacted at (570) 941-7484 or james.boyle@scranton.edu. 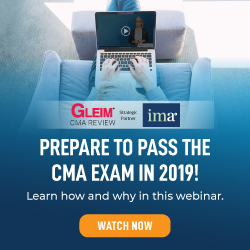 Daniel P. Mahoney, CMA, CFE, Ph.D., is a professor of accounting in the Kania School of Management at the University of Scranton. He also is an IMA member. Dan can be reached at (570) 941-4188 or daniel.mahoney@scranton.edu.